Discussion in 'iPhone and iPad Games' started by NijiGames, Mar 20, 2016. 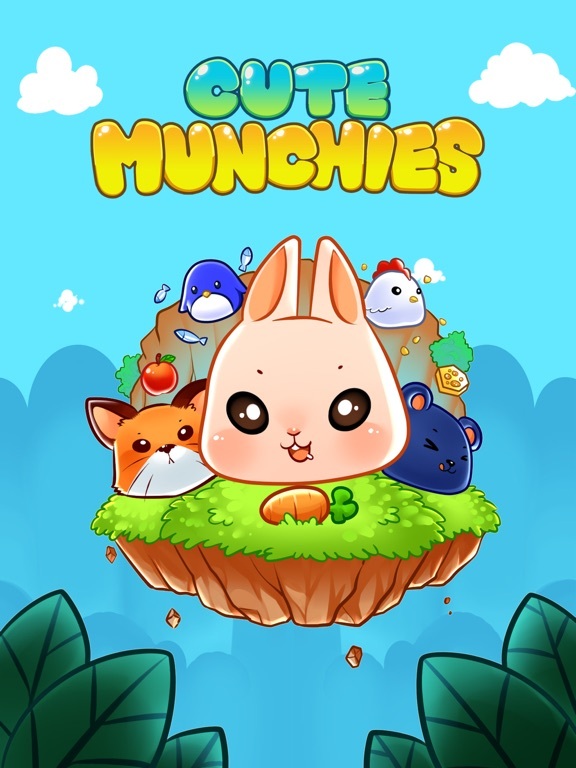 Cute Munchies is a unique puzzle game, easy to play but full with brain teasing puzzle. 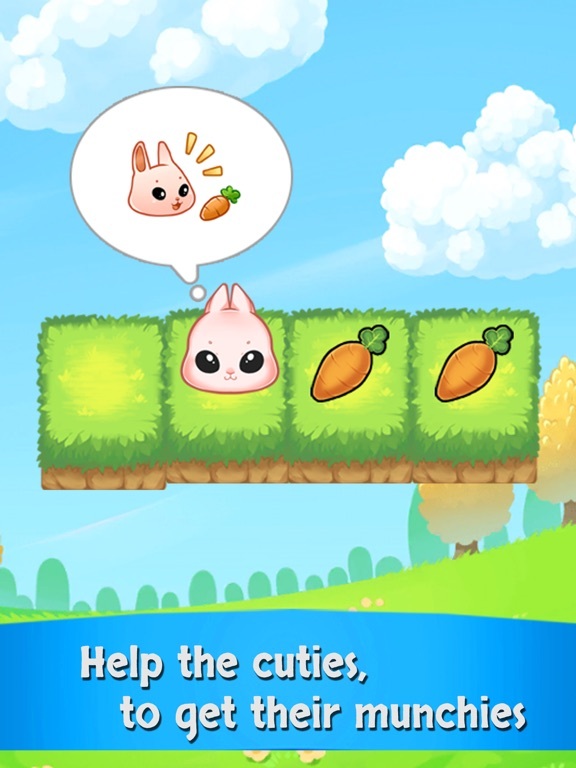 Just swipe to start to collect you food but be careful not to get stuck and discover all the levels and characters to unlock. We hope you all will have fun solving all the challenging levels. Please contact us if you have any feedback or ideas to share. Pretty good puzzler! Just went through the first 6 worlds I think. It's a cool blend of concepts and the graphical changes with each character are a nice touch. New update now is being reviewed by apple. What are the IAPs (if any)? Can't find any info in the App Store description? Are the levels all handcrafted? Or are they procedurally generated? The levels seem handcrafted so far. Strangely though if you restart the level some elements may disappear or reappear - I don't think the dev should have included this touch, as it shows you what elements of the level are useless. Do you know about any IAPs? Can't find any info. 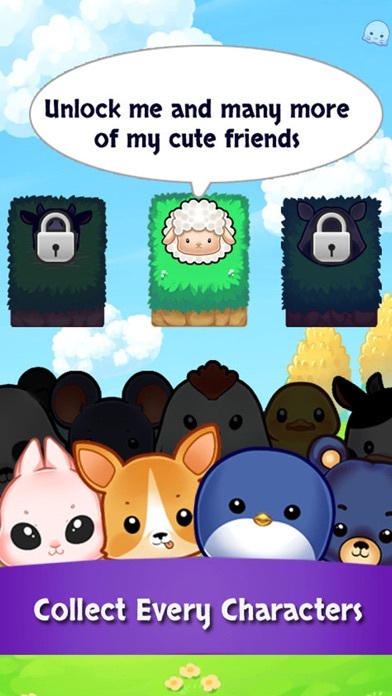 The IAP is only for hints and unlocking new Characters, you don't really need them, there are no ads, wonder how they make any money out of this. It has become a sad place the Appstore for developers. 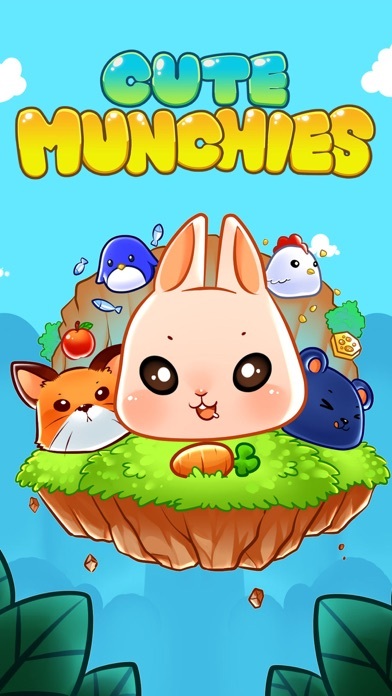 The game is fun though nothing new but it's good. Looks like many levels can be solved in many ways. Does the game reward the player for optimal solutions? If so, what defines optimal solutions? Can you actually earn enough coins by just playing the levels to unlock all of the characters? Also, why is there a night mode? Is this part of some game mechanics that will be important in later worlds? No, to get all the characters you have to buy coins, and the night mode is just cosmetic. Hi all sorry for the late reply, we are busy yesterday. Correct, the IAP are for coins pack (to unlock specific character/ chapter) and hints (if you really stuck at a level). 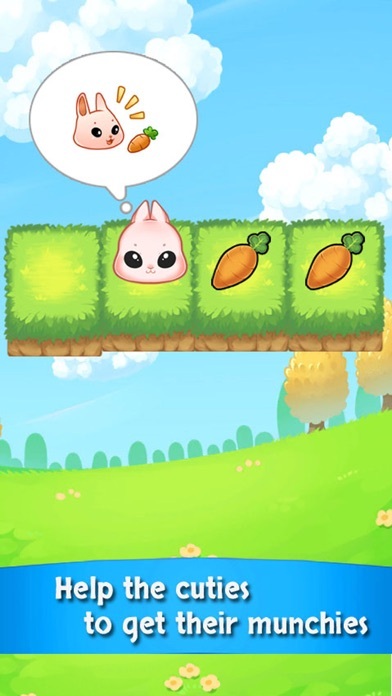 We do have an Ads in the level complete screen/ IAP screen where you can watch short video for extra coins (optional). 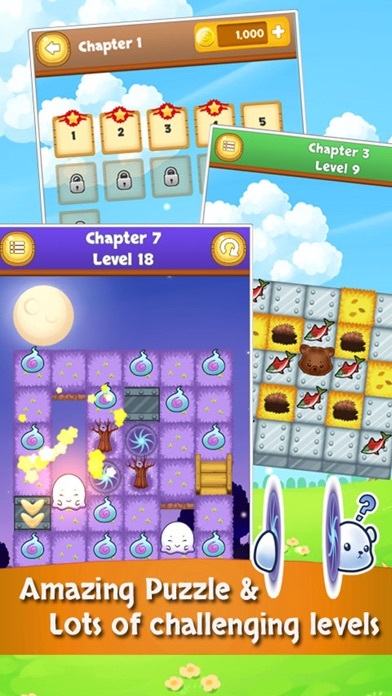 Our focus mainly to deliver great game experience for the player and not use intrusive IAP/ energy/ ads in place. We hope we achieved that goal. To be frank in the Appstore now it is challenging for new and small developers, as one of them we are still learning to balance game & Monetization. Hopefully with the support by player like you, either by downloading, share, review, and IAP purchase we can survive and do more stuff in the future. Some levels have more than 1 solutions, currently the rewards are the same. This game is pretty good. Easy to play and is funny. Yes, the night mode just cosmetic change, some people are more confortable with dark background. Thank you for the review and the video. 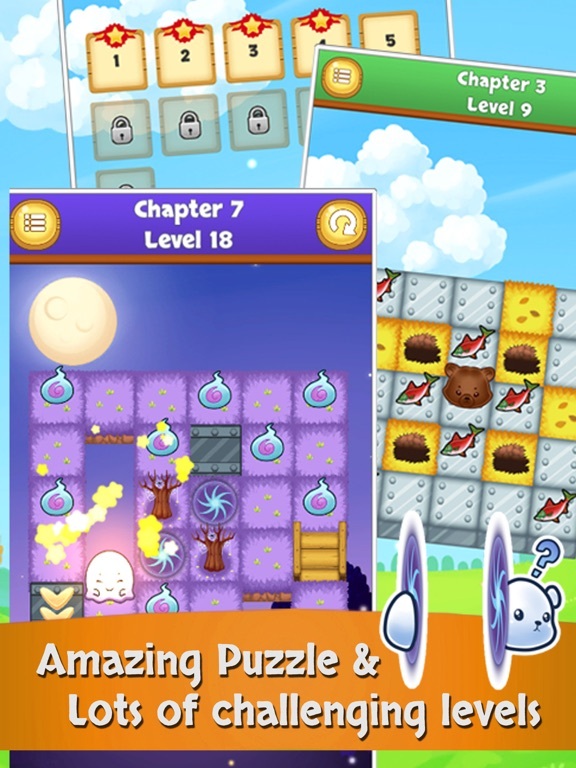 Have you investigated on how many levels could be solved in multiple ways? Also, in those level with multiple solutions, do you have a particular solution in mind as the intended solutions when you design the level? Lastly, what is the difference between spending the coins at the level completion screen to buy a character versus the purchase at the character screen? It is so much cheaper at the level completion screen. There are quite a few levels with multiple ways, sorry the exact number of levels we need to check again 1st. When we designed the levels with multiple solutions we have a particular solutions in mind (you can check it if you use hints) But its optional we want you the player to explore and find your own way. Unlocking character in level completion screen is cheaper but the char you will get is randomized. In the shop you can buy specific character. Hope this answer it. Thanks, NijiGames, for the info. Does it mean that you can spend money and keep getting the same character over and over again if you opt in to buy the characters from the randomizer? Yes, there are chance for the randomizer (or the egg) to hatch the same characters.